Gianna Tomeo at last year's FHSAA Class 2A girls golf state tournament in Howey-in-the-Hills. Jason Dill/Bradenton Herald. Several Manatee County junior golfers excelled in the recent Florida Junior Tour event held in Bonita Springs. The tournament was shortened to a one-day event due to Tropical Storm Isaac. Nonetheless, two Bradenton boys logged top five finishes in the 13-15 year old tourney at Worthington Country Club. Jack Tianyi Cen (70) and Bradenton Christian golfer Philip Knowles (72) finished in second and a tie for third, respectively, behind Lake Mary's Robin Wang, who fired an 8-under par 64 for the title. 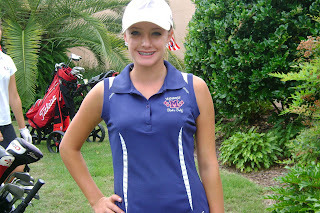 On the girls side, Manatee High's Gianna Tomeo also had a successful tournament when her 77 gave her a third place showing. 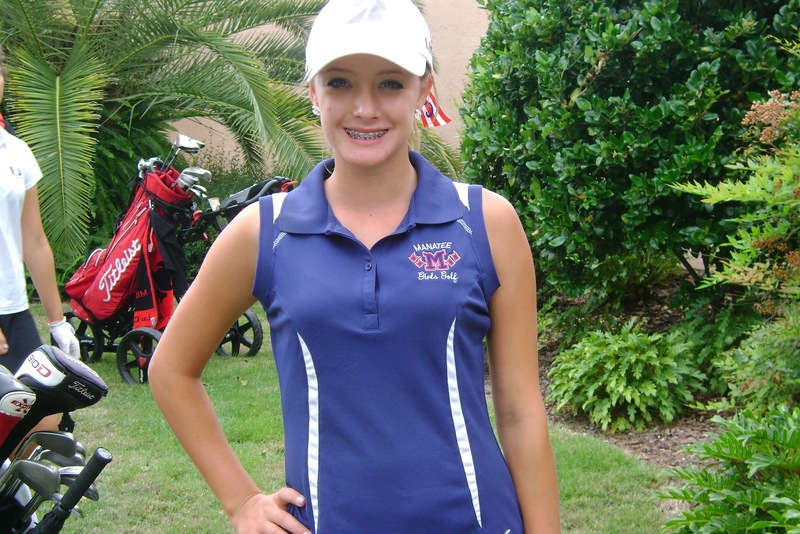 Tomeo was one shot behind Emma Bradley, of Naples, and Sebring's Kendall Griffin at the conclusion of play. Bradley won the rain-shortened tournament in a playoff.